Stanton, Kentucky — a photo taken at the scene of a fatal motorcycle crash is quickly going viral after it was shared on Facebook. Many people who view the image (pictured above) believe they can see the ghost or spirit of the motorcycle driver hovering over his body. A man stuck in traffic nearby, Saul Vazquez, says he saw the accident and quickly snapped a picture. Upon looking at the picture he had just taken, he noticed something chilling. He immediately shared it on Facebook where it quickly went viral. “Zoom in and pay attention to the shadow just off the top of the state trooper hat. All I say is I hope everyone involved is okay! !”, wrote Stanton in his Facebook post. 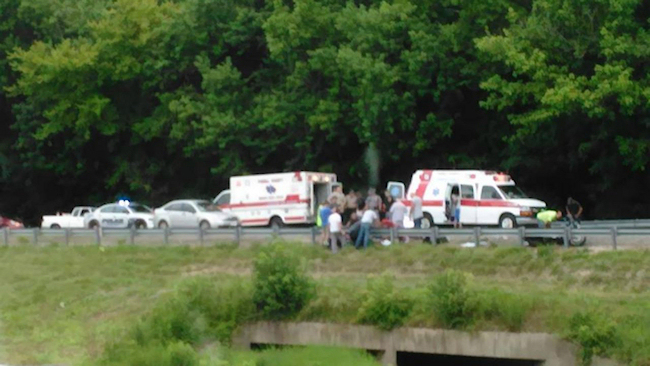 The crash took place in Powell County, Kentucky on July 12th 2016 at around 5:30pm. The motorcycle driver was taken to the hospital but died of his injuries. Some people who view the eerie photo say it is just simply smoke from the crash. However, others believe that it is the ghost or spirit of the motorcycle rider leaving his body. We want to know what you think. Is it just smoke? Is this evidence of life after death? 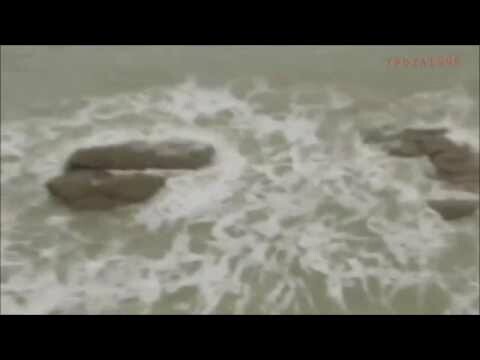 A spirit leaving it’s body? Let us know your thoughts on this sad but strange photograph in the comments below! Photo in this article is courtesy of Saul Vazquez.